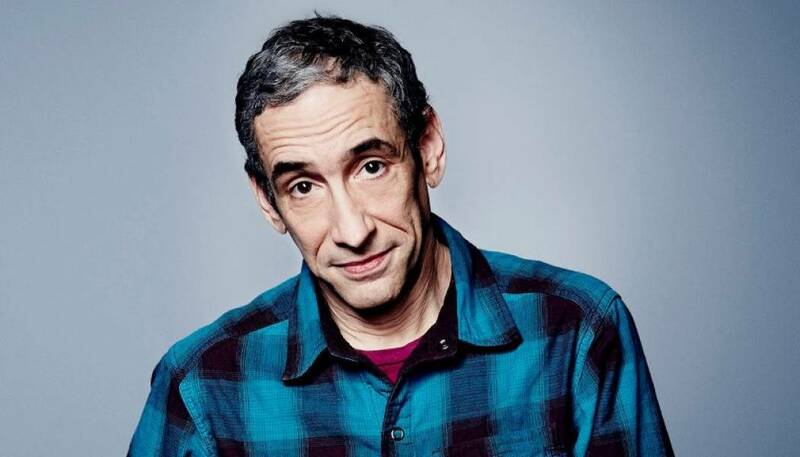 I recently had the pleasure of speaking with award-winning author, educator, and documentarian Douglas Rushkoff. Our discussion focused on his new book “Present Shock: When Everything Happens Now,” his advisory role at Codecademy, and the impact of Present Shock on education. Douglas, you have a new book out called “Present Shock: When Everything Happens Now.” What is Present Shock? Most simply, Present Shock is the human response to living in a world where everything happens now. It’s a real-time, always-on existence without a past or a future, without origins or goals. It’s just the present. This presentism, or Present Shock, really effects us on a person level, on a social level, politically, economically, and even spiritually, in terms of how we organize our experience in life. My concern is that instead of really seizing the new now of the moment we tend to get disoriented. We respond to the insistent pings on each of our devices. We kind of chase the moment that Twitter or Facebook or one of these devices offer, forgetting that we’re the ones who are living in real-time. The devices and the software is what’s chasing us. It’s really about, how do we seize the true present that’s being offered by a digital age, by our liberation from an industrial age clock and how do we avoid the kind of faux-present of the insistent pings of the digital universe. What are the challenges and opportunities for formal education resulting from Present Shock? Well, I mean there are a bunch. One of them, one bias of the digital age is that it gives us more choice. So rather than following the prescribed paths of the masters of the various academic disciplines, someone can go online and get the course or the information and what they want when they want it. You don’t have to go through architecture 1, 2, and 3 to get to architecture 4. And while there is some tremendous liberation associated with that there’s also something you lose in that. What you lose is the path. You become very focused as a student on the data and getting that piece of information as if that’s the thing that’s valuable and you lose the centuries of thought that went into how these things were arranged. I was in the library and I was thinking about the card catalogue the other day, and I understand that the digital search lets you find the thing you want right away and you get the number and you go and you get it. But what you lose when you lose the card catalogue is not just an alphabetical listing of the books by title and by author, you’re also losing the subject area. You could go into a card catalogue and find the area that you’re in and look through the cards that are in that section, and they’ve been put there, they’ve found their way there over centuries of the organization of information by people. It’s not to say that it should cripple you that now you have to engage with information the way that the greats have been doing it for centuries, but there is centuries of knowledge and insight that went into that. As education becomes more à la carte as kids get what they want when they want it. As we use Spark Notes to do Shakespeare because we have authority over our time and I can decide to not really read it, but just read this paragraph. I lose a sense of the journey. It becomes very results oriented. That’s a big, big challenge. The other biggie is, as we spend more of our time fetishizing these devices these new avenues for education, I feel like the human bonds of the classroom, actual people who are in the same room together, that loses it’s cohesiveness, it loses it’s power. The big challenge for people today is doing very simple things like maintaining eye contact, generating rapport with other human beings. Understanding how to work with others, that’s the kind of stuff you can get in a classroom and you can’t get on a Wii when you’re at home. I’m really encouraging educators not to use classroom time to have kids all staring at the SMART Board or at their iPads, and instead to use that valuable few hours of class time you have helping kids and students orient to one another in real space because 94% of communication that happens non-verbally is starting to get lost as our noses get closer and closer into our smart phones. In 2001 you hosted and co-produced the Frontline documentary “The Merchants of Cool.” The film describes the techniques used by corporations like MTV to research and sell products and lifestyles to young adults. You close the film by saying, “So is there anywhere the commercial machine won’t go? Is it leaving any room for kids to create a culture of their own? And what if they turn and fight? The battle itself is sponsored and packaged and sold right back to them.” In 2013 what is the status of “The Merchants of Cool,” and young adult’s ability to fight back? I guess “The Merchants of Cool” are here and are bigger and better than ever. Instead of watching kids, “The Merchants of Cool” at that time were sending out little spys and scouts and kids with Polaroid cameras and video cameras to really try to record youth culture and then feed it back to itself putting the things that they found into ads and TV shows you kind of sell kids back to themselves. There was this feedback loop between the trend hunters, the cool hunters, and the kids. And now kids through social media they deliver themselves directly to the marketer. You know the marketer doesn’t need to observe them, the kids are already posting everything up there, so where in the old days, the quaint days of 2001 the marketer would have to go into the kid’s bedroom and to see what posters he’s put up on his wall and how and photograph them. Now the kid is putting these things right up on their Facebook wall so they are broadcasting everything their new form of cultural expression. And when you can see what works and what doesn’t by how many “likes” that thing is getting. It’s funny I’m just starting on an update to “The Merchants of Cool” and I’m calling it “Generation Like,” and the idea is that kids are living in a world where their own self expression now is what they like. It’s all relative in the sense that they are what they like and what they like matters to them really almost exclusively for the power it has to get them “liked” themselves. It has sort of moved into a hyper version of its former quaint self. And there’s just as many millions of dollars going into it, but now it more into the big data analysis of every key stroke that these kids make in order to predict where they are going and what they are going to be doing next. In Chapter 1 you discuss the collapse of narrative. It got me thinking about the American Dream the idea that you work hard, you play by the rules, you go to college and this is the gateway to the middle class. What does Present Shock have to say about our classical notions of the American Dream? The American Dream is kinda over. I don’t mean that as a bad thing, I think largely it’s a good thing. We are no longer Great Gatsby staring at the green light trying to attain the unattainable. The American Dream, while on the one hand it was great for motivating the progress of the 20th century and building factories and getting us all to do lots of stuff, it was false. We are there, and we don’t have pension funds, we don’t have 401K plans, we don’t have the stock market that is going to grow infinitely into the future, we don’t have new territories to expand to, we don’t have new conquests to make. We are in a different time of a world now where we understand that growth is the Booby prize, growth is a requirement of central capital that’s lent out at interest that needs to be paid back, growth is not necessarily a sign of health. New housing starts are good for the economy the way we currently have it configured, but they are not good for the environment, and we already have more than enough houses, we need new housing starts the way we get them is by tearing down other houses that we don’t let people live in because they don’t have jobs which we can’t find for them to do because we already have more than enough stuff. On the one hand, the idea of education as a way, I’m going to do this so I can follow on this path and get this job and do that thing, that doesn’t make so much sense anymore. Because it’s false, and it’s kind of a lie and a lot of people who have gone through the whole college thing and ended up $300K in debt and without a job, or a way to pay it back, or a way to go into bankruptcy even, they understand that full well. I think what that does though is that it changes the nature of education towards something that is really frightening for educators but is, what is it about right now. Am I learning? Am I enriching myself? Am I becoming a smarter more innovative human being. That’s what’s going to serve you in the real job market of tomorrow. By the time the corporation has told the city college what skills it wants from its future workers you are going to graduate and those skills will have changed anyway. You are going to have a bunch of people coming out of college who know how to use the Excel spreadsheet when the company has moved on to Oracle something-or-other. It doesn’t really work that way. The only way to educate yourself in this world, in a world that is gonna be more and more about freelancing is to actually acquire the skill of skills acquisition, to learn how to think critically about the world and digital media environments that you are spending all this time in. So it’s a much deeper kind of a learning in some sense. It’s more Liberal Arts not less. Douglas, you mentioned student loan debt briefly earlier. Current estimates suggest that American students currently have somewhere between $900 billion and $1 trillion in outstanding student loans. Given that tremendous burden placed on the next generation, what are your thoughts on the cost of college, and our process of paying for it through private and federal loans? It’s very tempting for people to say look, why do college when I can go do whatever, one of these Coursera kinda things for free. And I can just get the course and do it. On one level it’s a healthy challenge to the university’s that are costing $50K, $60K a year for what? I mean I totally get that. The real reason why university educations are supposed to cost a lot, or why they do cost a lot, is that your money is not just supporting what you are learning, it’s supposed to be supporting the research. You know you are coming to a research institution, they are doing Tier-1 research and they are using some of your money to do that. It’s hard to justify, right, because the direction we have to go in, is to really bifurcate or divide the skills acquisition nature of education from the deep nature of education. Skills acquisition, if you want to learn code or something, you can learn that on Codecademy for free right now. I’m an advisor there, it’s a great program, it’s absolutely free and you can go pretty darn deep into it, you know as much as any regular person can handle. You know, if you are then going to become a computer scientist then you might want to go to a real school for computer science and actually go into that. But we can in some sense free up the university from that basic skills creation. You know turn it into less of a consumer zone, of aww I’m going to go and get these skills and go get that job. That’s not what that’s for, that’s trade school. Or that’s what those Barrons books are for in the Barnes & Noble. You can really self-educate basic skills like that, or apprenticeship, with an electrician or someone else, or the way they train policemen, that’s not a college education, that’s something else. And it would free up these institutions for people who want to get that. It’s more, at that point, I’m sorry to say it’s either it’s going to be a luxury or it’s going to be something that is publicly paid for. I’m looking at teaching at the university now and I’m having a hard time as a I guess a Leftist and an Occupier. I’m having a hard time justifying going to some $50K liberal arts college and teaching the wealthy or the indebted. Where I can go to hopefully Queens College or City College, kids, I mean men or woman are spending $5K or $6K a year to go to a Tier-1 university. At that point how can I justify the expense. The research is being paid for by, or should be by corporations or governments anyway so I just have a hard time asking for that much money from people. I’m glad you brought up Codecademy. What have you learned so far from working on the project? Well the biggie that people aren’t getting yet, because I’m reading like Tom Friedman and all these folks in The Times and they are writing about MOOCs, and I guess Codecademy counts as a MOOC to some extent, but Codecademy only teaches code. They are not trying to teach philosophy, you know, to teach the Socratic method online seems really sad when folks like Aristotle and Socrates were talking about how you have to be in person, conspiring with people, literally breathing with a small group of people in a room in order to get anything so I feel like it’s a site specific education place. It’s really cool for teaching code. It’s a great environment to teach code, better than a seminar room but it’s not a great environment to do a seminar I think. It’s a substitute for it. Just as it’s not a great environment to do Sabbath, or fellowship. I wouldn’t want to go to an online AA meeting. I think you got to be in the room with the people. A seminar is more like an AA meeting than it is like a lot of things, in some sense. The other big thing I’ve discovered is that the thing that being disintermediated is not the student to the teacher. It’s not like, they think that what’s happening is that we’re getting the curriculum out of the way so now students can get right to the teacher directly through all this stuff, through the Internet rather than having to go through the university. And I don’t think that’s it, I think the real possibility here is not for students-to-teacher learning to have a new venue, but to see the birth of genuine peer-to-peer teaching and learning. You know what Codecademy is, is much less of a place where people have access to a teacher, they have access to one another. You know the curriculums are written by other members of the community, so you end up with communities of learning because the Internet is a peer-to-peer place. It’s not the place to do hierarchical learning which still needs a role. You know I want to go sit in a room with Stanley Fish, you know and find out about how poetry works or how reception theory works, or someone wants to sit with me and really understand the biases of media, that’s something that happens in a room. And yes, in a lecture, which should not go out, in a seminar, in a preceptorial, that’s what those forms do and just because we have a new technology through which to disseminate information, doesn’t, and which through which to forge community, doesn’t mean it replaces every other form of human contact. In 2011 you published “Program or Be Programmed: Ten Commands for a Digital Age.” Two years later have you thought of any additional commands or revisions to your previous ten? The big idea I want people to get from that, you know beyond the individual commands which are kind of convenient ways of talking about the biases of digital media, I want people to get that they are in command. It’s just that digital media, the word digit even goes back to the fingers, you know these are digital media, they’re media that you can kind of use with your hands, you are not just sitting with your eyes watching something like TV or some other pre-digital media, these are media through which you make things. Some of the biases I didn’t discuss because I didn’t want the book to be all Marxist, is that this is really bias to production more than consumption. The iPad maybe is biased towards consumption, the iPhone, that the newer tools without keyboards are really turning much more into viewing screens, entertainment devices, easy ways to buy things, and to stream media. But they are not these great tools of production like computers are. It’s exciting to me that there are these machines with keyboards, and printers, and uploading speeds in everybody’s homes. This is the way we can make stuff and trade stuff. So this technology is biased towards transaction, towards real people transacting, creating value, and exchanging that value with one another. And I feel like companies are intentionally repressing that bias of this media because it’s so destabilizing to the kinds of companies that really depend on us being consumers and not producers. I’m interested in your thoughts on the future of human and technological evolution. In chapter 5 called Apocalypto you discuss your skepticism of the concept of The Singularity. What is your biggest critique of The Singularity? My biggest critique of The Singularity is that it’s just not true. Some of the best minds of my generation, or I guess the generation older, that slightly older cyber theorist type people, the technology theorists, they seem to have to look at this as a story. They can’t understand that technology is just here, it’s just now, it’s just what’s happening. It doesn’t necessarily have to be going somewhere. There inability to contend with a presentist world, where the world is actually happening now has led them to take the old Christian apocalyptic overlay and stick it on top of this presentist timeline. It’s going somewhere, so where is it going? Well it depends on what technology wants. They are humanizing this while they are dehumanizing us saying OK, technology is on this inevitable quest towards great states of complexity, and once it’s more complex than we are humans beings no longer really have a role. We can sort of retreat and recede into the background and let technology achieve consciousness and continue on without us. And the narrative that they are painting, the story that they are writing to try and understand what’s going on, because they’d rather have a bad story that deal with the existential quandary of real life. Their story is that information has been evolving towards greater states of complexity since the beginning of time and that human beings are just one stage in information’s inevitable journey towards higher states of complexity than we could even imagine. And to me that really has the medium and the message reversed. I don’t think information even exists without a human mind to understand it, to process it, to give it meaning. Without us it’s not information any more, it’s just is, it’s just there. So I’m trying to debunk The Singularity, and to debunk the apocalypse because it has become much easier to imagine a zombie apocalypse than it is to imagine next year. That’s troubling to me, and it’s really because we haven’t yet embraced the present. We’re finding difficult to do it without losing our sense of place, without losing our sense of meaning. And there’s other ways to find meaning, to find your place. Just begin doing pattern recognition to begin understanding the never-ending game of life, or life as an infinite game, rather than as a game that you have to win, declare victory, then see who is saved and who is damned, that you can go on, rather than worry all the time about where is this going. And that’s the real challenge of Present Shock. What are your thoughts on the future of work? Throughout Present Shock you wrestle with the challenges of our global economy. What knowledge, skill, and abilities do you think people need to be cultivated to be successful? I mean on the one hand if we do this right, people are going to have to work a whole lot less than they did before. I’m really of the belief that we’ve gotten really good at providing goods and services for pretty much everybody who wants them. The real jobs problem that we are having today is not that we need more people to make more stuff, it’s that we need people to have jobs so that we can justify giving the stuff that we already have in abundance. There’s more than enough houses, there’s more than enough food. We are destroying houses in California as I speak. We are burning food every week to keep market prices high. So it’s not a matter of that, it’s a matter now I think of people looking at how they can contribute to really making the world a better place towards, how do I help? Look at the areas where there is real crisis, whether it’s sustainable energy, global warming, the alarming rate of kids being born with Autism and Spectrum Disorders who are going to need care takers of one sort or another. There’s so many real challenges coming up other than, how am I going to increase housing starts, or create more mortgages, or do all of these kinds of fake things. Because the fake things are going to become less and less relevant, more and more of those people are going to get laid off as the corporations that are really running on fumes lose the ability to do so. And our ability to participate not just in that big economy, but in the local economy of real goods and services, the value that you are actually able to create for other people where you live, or through the Net is going to become a much more, I hate to use a word like this but a much more marketable skill than the kinds of things that you think of currently as careers. Does the future need universities?